Your favorite 2D characters in Virtual Reality! 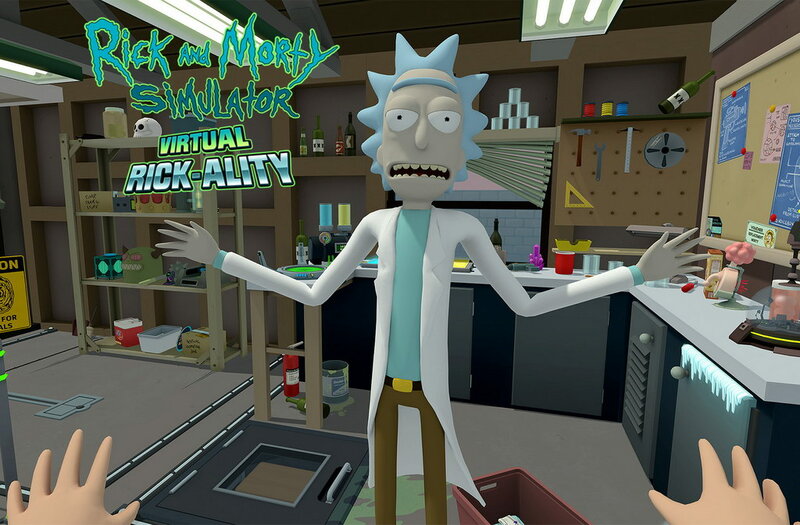 Rick and Morty: Virtual Rick-ality is an adventure virtual reality game developed by Owlchemy Labs and published by Adult Swim Games. Play as a Morty clone as you explore Rick’s garage, the Smith household, and alien worlds. Step through portals to strange worlds, help Rick with his bizarre experiments, and use your hands in VR to pick up and play in an interaction-filled 3D Rick-ality. Experience life as a clone of Morty and all the trauma that comes with it. Rick and Morty have teleported into your living room for a cutting-edge Virual Reality game. Follow Rick’s directions to solve puzzles and complete missions in this fully voice acted adventure. It’s your favorite 2D characters in 3D. It’s RICK AND MORTY VR! They’re 3D now! You walk with your actual feet through virtual portals! Smack Rick in the face. This Rick and Morty VR game is a mix of Job Simulator with the adult humor of the animated series Rick And Morty. 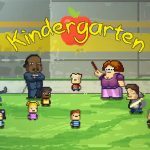 A more accurate description of the game would be Job Simulator: Rick And Morty edition. In this story you are clone of Morty and you should do some staff for them - cleaning, washing, repairing, defending, buying, upgrading their UFO, mixing some items to get new, making other clones. Good jokes, funny lines, and perfectly synced up with the show. After you are done with the main story line, you can go back to a couple mini-games, and search out some easter eggs. Well, if you have a VR equipment and loves Rick and Morty, this game is a must have. 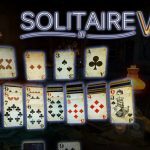 One of the funniest, most polished, optimised VR game out there!